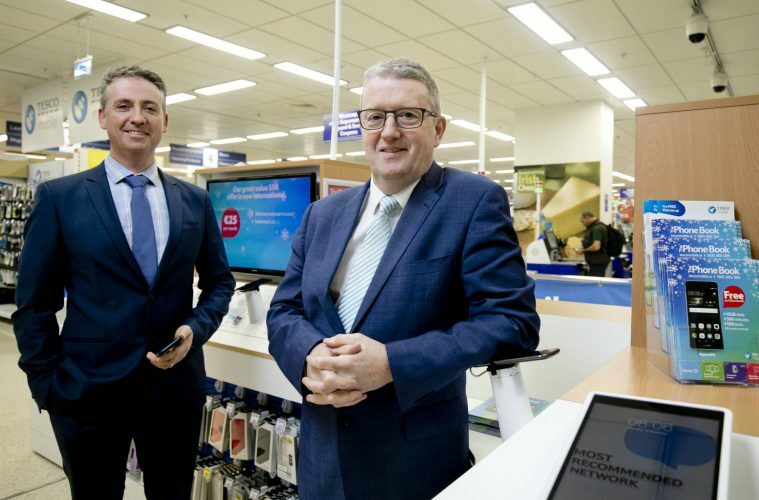 BT Ireland today announced their partnership with Tesco Mobile Ireland will be extended for a further two years which enables the retailer to provide international calls or ‘voice termination’ to their customers across Ireland. The deal, worth in excess of €10 million, will allow BT to process Tesco Mobile voice calls all over the world and validates the trusted partnership built over the last 10 years between the two companies. Over the last 10 years, BT has built a collaborative relationship with Tesco Mobile, which now has 7.7% market share. Through a unique combination of local expertise and global reach, BT is the market leader for carrier voice services in Ireland. BT Ireland has a substantial national voice network in Ireland interconnected to BT’s international network which carries over 12 billion minutes of wholesale voice globally per year. The BT voice network reaches 180 countries around the world, offering truly global coverage for their customers. BT is a trusted partner for over 50 communications companies in Ireland, delivering traditional voices services as well as next generation IP-based communications, all backed up by the highest level of customer service for their customers.